Start saving now for this year's iPhone! According to Goldman Sachs, the iPhone 8 is set to be Apple’s priciest iPhone ever by quite a wide margin. A note from analyst Simona Jankowski claims the next-gen iPhone will carry the suitably next-gen price of $1,000. More specifically, Jankowski predicts that the 128GB iPhone 8 will sell for $999, while the 256GB version will set you back a whopping $1,099. By comparison, the current 128GB Phone 7 carries a price tag of $749. That means that the cheapest iPhone 8 will be 25 percent pricier than its predecessor, which is a pretty sizable jump for just one year’s worth of upgrades. Jankowski thinks users will definitely get their money’s worth for that price, however. In particular, she singles out a larger 5.8-inch display, OLED screen and 3D-sensing augmented reality, the latter of which is a technology Apple is incredibly excited about. “We think the higher demand for the larger (5.8″) form factor will be supported by the fact that the iPhone 8 will have compelling new features not available in the smaller form factors,” she wrote in her note to clients. Goldman Sachs isn’t upset by the price, of course — the company caters to investors who are set to see stock prices soaring with the next iPhone upgrade. Just this week, Apple became the first company in history to pass the $800 billion value. A pricey iPhone 8 will only help the company as it skips ever closer to the fabled $1 trillion mark. She raised her Apple fiscal 2018 earnings-per-share forecast to $11.50 from $11. That’s a little over a dollar more than the Wall Street average of $10.40. 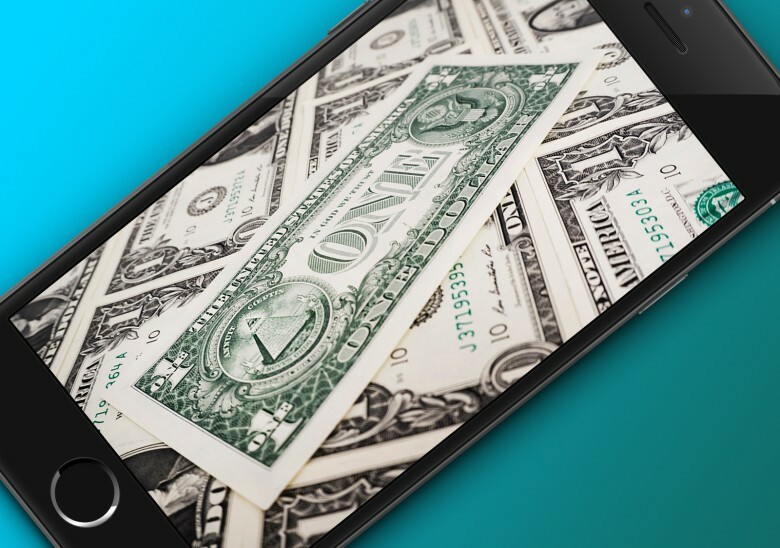 This isn’t the first time we’ve heard that the new iPhone may carry a premium price tag. Earlier this year, Fast Company floated the same $1,000 price, partly attributed to the greater costs for Apple of adopting an OLED display. It also wouldn’t be the first time Apple ramped up the price for an anniversary edition of one of its products. This year’s iPhone 8 represents 10 years since Steve Jobs introduced us to Apple’s breakthrough smartphone. Back in 1997, Apple introduced its feature-packed Twentieth Anniversary Mac (which, confusingly, celebrated 20 years of Apple, instead of 20 years of the Mac). That machine’s price? A massive $9,000 ($13,600 today), which made it one of the priciest computers Apple ever released. To be fair, for that price users did get the computer delivered to their homes and set up by a man in a tuxedo. Really. Would you pay $1,000-plus for Apple’s next-gen iPhone? Leave your comments below.